In recent years, ICE’s main activity has been focussed on the offshore energy industry, with design of drill ships, a well intervention vessel, jack-up wind turbine installation vessels and more than 40 FSO/FPSO projects. However, the oil price collapse in 2014 almost stopped new orders for such vessels and forced us to urgently pursue other market segments. Taking advantage of ICE’s earlier experience with cruise ship design, in June 2017 we signed an important order for design for an ice-class expeditionary cruise vessel. That contract is progressing well and the cooperation with our client is excellent. In 2017 we also won a significant contract from a Norwegian client for development of an innovative single-lift vessel for removal of obsolete offshore platform substructures; that assignment gives us an important entry into the growing offshore decommissioning business. These and other ongoing contracts give us a good capacity utilisation for 2018; the overall market is still depressed but with our combination of substantial capacity, high quality and attractive pricing we are nevertheless confident of winning additional contracts. Rather than laying-off redundant employees during slack periods, we have used available skills to bring up-to-date several of our earlier ship designs. In close cooperation with potential customers we have also developed new proprietary designs, with focus on LNG as fuel. We have also strengthened our ballast water treatment and scrubber retrofit service capability by investing in equipment and software for onboard laser scanning, and we have continued to improve our project management procedures and to upgrade our ERP system. 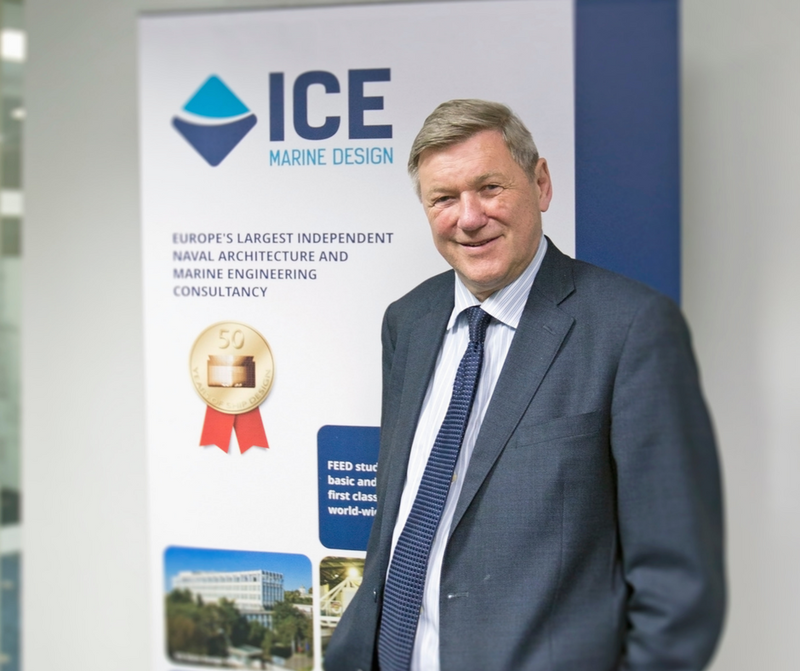 These carefully selected investments in the future of ICE will enable us to continue to offer our customers good value and for ICE to be ready for the next upswing in the marine industry. I am looking forward to 2018 with great confidence. I thank our customers, employees and many other stakeholders for their continued support of ICE, and I wish all a Happy New Year.